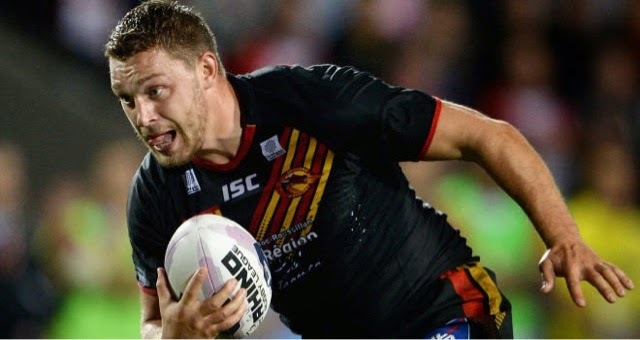 The second week of the super league kicked off in style, but did it all match up to week 1? The reigning champions went looking for a second super league win of the season when they did just that against Rangi Chase's Salford. The Saints were winning 20 points to 6 at the half but then things went from bad to worse for the Red Devils when St. Helens got their score tally to 52 and making it 10 tries in total to go top of the super league table. Warrington had trouble in the second half but managed to stay ahead for the whole game. The Wolves had a 7 - 0 advantage at half time, but after that Hull scored just on try and a goal to grab the six, but it still wasn't enough to beat the mighty Warrington. After Widnes snook in a draw on the first week against Wigan, the Rhinos were just a tad better than the helpless Widnes Vikings. 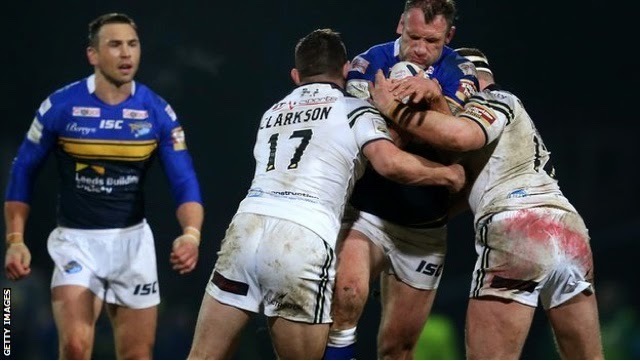 After a week 1 Forty / Thirty win for Leeds over Hull KR they pushed up to second after beating Widnes on a cold Friday night when Widnes went into this game looking to be unbeaten, Leeds thought less of it and wanted to be unbeaten themselves in the West of Leeds. Wigan were better after their shock draw to Widnes in Round 1, but, in week 2 the Warriors fought off a Giants side who dramatically lost 19 - 0 to Hull FC. Even though the Giants had a 16 - 10 half time lead, Wigan fought back to win 24 - 16 in the 22 minutes they had because of them leaving it late. Wigan are now making it tight at the top for the winning sides at the top with their awkward 3 points to make the league tight after round 2. Cas were in France to win but with 3 disallowed tries between the sides, 2 fights with 3 sinbins the game was tight up until the end when Castleford came from 12 - 6 down to be level with both sides on 12, the Dragons found a thirteen to plot on the score board after a 1 point drop goal was scored, to see the Catalan Dragons go up with their first win of the season. Jake Webster and Justin Carney were getting a lot of action from their hard hitting tackles and then seeing Webster getting sent to the sinbin for throwing punches at a Catalans prop. 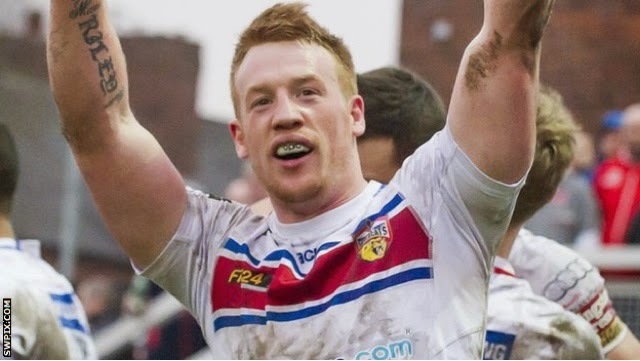 Wakey got another win to match their round 1 win over Castleford to beat the shockingly out of form Hull KR. Hull travelled to Belle Vue to win a first game of the season but, NO, Wakefield have now beaten Hull KR and the Tigers so they are bothe still to win and Wakey are flying forward in the 2015 league season. Round 2 saw ups, downs, action and unbeaten teams but how will the three teams who are doing well do in the RL World Series next weekend? The World Series Preview is coming soon. Dragons edge Tigers, Wildcats roll in the second week of the Super League.